Chicken equipment and supplies for poultry farming cage system is very important for poultry farmers, especially for the maintenance of chicken cages. As poultry farmers to know that the cheaper feed cost allowing poultry farmers to rake in huge profits. The chicken equipment and supplies may be the main large investment on chicken supplies. Chicken prices have also soared, with broiler prices ranging between $ 2.58-$ 1.87 per kilo though they have slackened to around $ 1.40. Therefore, choose the low cost and modern automatic chicken cage equipment seem to be very essential. Livi Machinery also fitted with the chicken equipment in poultry farming battery cage system, which have been recognized by the customers from most countries. We believe we have the best quality and advanced technology for the whole set of poultry farming battery cage system. 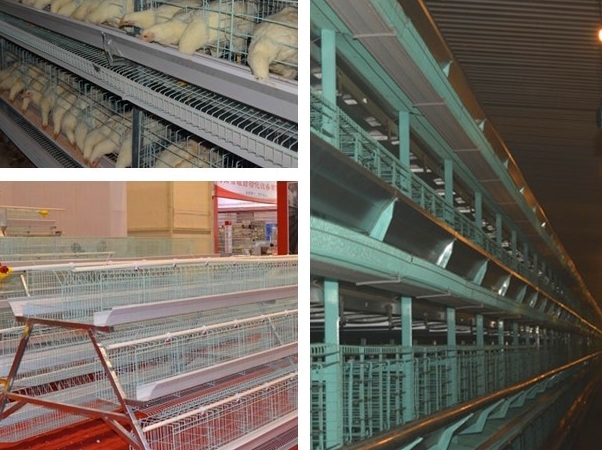 A-type and H-type battery cages can bring you multiple poultry farming mode which was suitable for modern poultry breeding. 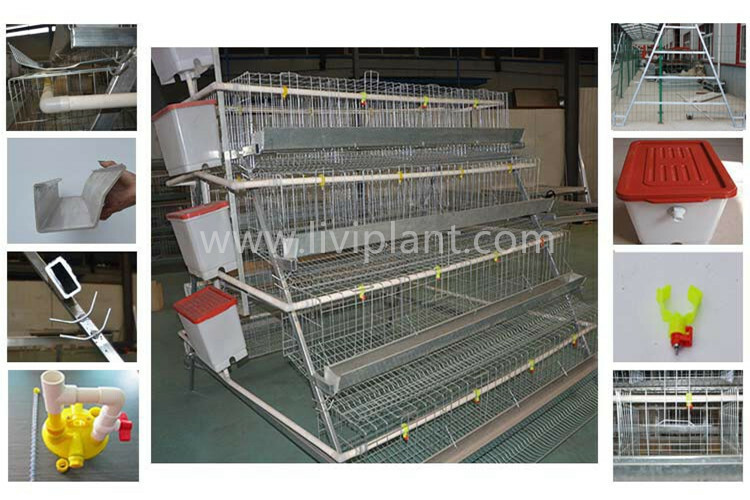 The chicken supplies is as important as chicken cage equipment for poultry farm. Chicken equipment and supplies in Livi Machinery have the good reputation for our customers. They choose us not only for our perfect chicken equipment and supplies, but also for our continuing after-service as well as exact customization service. For instance, we can customize the specific chicken equipment and supplies, for we have 60 senior experts, engineers, technicians of the technical development team, for the purpose of meeting the special requirements of customers products. Our chicken equipment and supplies are also characterized by hard-wearing and never go out of style. Our outstanding chicken supplies is poultry feeding system. Excellent chicken equipent and poultry equipment supplies can match up to poultry farming battery cage equipment. And also help to increase poultry farming industry’s profit.